Bumper cap, for adjustable hood bumpers front and/or rear. 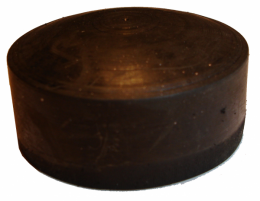 1" diameter cap. Replaces original GM part #1237800. Sold individually. MADE IN THE USA.